Hendricks County goes above and beyond providing family-friendly events and activities throughout our beautiful fall season. Health and wellness remains important to our community, and numerous events include walks/runs. 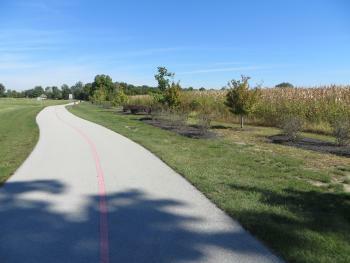 Residents and visitors alike can exercise, donate to wonderful causes and enjoy Central Indiana&apos;s amazing fall foliage. Here is a round-up of Hendricks County running/walking events including a local favorite (and mine as well), the Fall Colors Run! This popular event takes place in lovely McCloud Nature Park, 8518 Hughes Road, North Salem, which is considered a premier location to view fall foliage. Some family members and I participated last year and enjoyed every minute of the run! Distance choices include 10K, 5K, or 1 mile. The course consists of unpaved trails throughout the park and along Big Walnut Creek. More details and registration information coming soon here. Family in tow? Join in the fall family fun and check out the free Fall Colors Festival following the run/walk. It runs from 10 a.m.-4 p.m. and includes pumpkin decorating, archery, operating a cider press and much more! Join local police officers in running/walking at Lucas Oil Raceway, 10267 E. U.S. 36, Brownsburg. Officers will don full uniform and gear, which adds 30 pounds. This event begins at 9 a.m. at the dragstrip starting line with a police siren signifying the start. The course consists of a 4,400-foot long drag strip, 2.5 miles on the track&apos;s road course, and .68 of a mile oval. This is a family-friendly event for all ages (ages 11-17 get half off the adult price, ages 10 and under are free)! Coffee and donuts will be offered. Proceeds from this event benefit the Friends of the Reserve Division. Click here to register. Enjoy a fall evening with fellow runners/walkers at the Shops at Perry Crossing in Plainfield. The 5K begins at 5:30 p.m. and the 1.5-mile family run/walk at 5:35 p.m. The start/finish line will be near Bru Burger, 2499 Perry Crossing Way #170, Plainfield. After crossing the finish line, join the after party hosted by Bru Burger. Duke Energy will present this event to benefit the United Way of Central Indiana. Register here. This event occurs at 2 p.m. at the scenic Hummel Park, 1500 Center St., Plainfield. Enjoy an afternoon stroll at this popular park! More details and registration information coming soon. Proceeds benefit U.S. and world hunger. 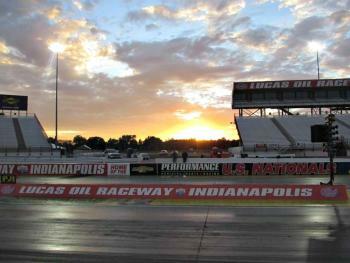 Here is another opportunity to run/walk on the Lucas Oil Raceway, 10267 E. U.S. 36 in Brownsburg. However, this time it&apos;s under the lights! A quarter mile on the iconic drag strip, paved roads, and the oval make up this course. Both the 10K run and the 5K walk/run begin at 6:30 p.m. 10K participants must maintain a minimum pace of 12 minutes per mile. Be sure to bring the kiddos! Those ages 10 and under can sprint down the drag strip in the Mini-Dash which starts at 6 p.m. Proceeds go toward the completion of the B&O Trail, an important wellness asset for our community! Click here to register. Looking for family-friendly, non-scary and healthy Halloween events? Be sure to register for the 5K and afterward, join in all the Hallowellness activities! The start and finish line is located at the Hendricks County 4-H Fairgrounds and Conference Complex, 1900 E. Main St., Danville. The new and improved course will run throughout Danville on Old U.S. 36. Kids broom races (ages 8 and under) begin at 9:45 a.m., 5K run/walk at 10 a.m., and 1K run/walk (ages 9 and up) at 10:10 a.m. Bru Burger will provide a complimentary treat for 5K participants. Hendricks Regional Health, as the presenting sponsor, will provide information regarding healthy lifestyles through fun, interactive activities. Click here for more information and to register for this event. Many Hendricks County families, along with visiting guests, have made this event a Thanksgiving tradition. It&apos;s a fun, healthy way to start the day. This event is geared toward runners/walkers of all ages! For those with kids, the 1-mile family walk provides a great option. 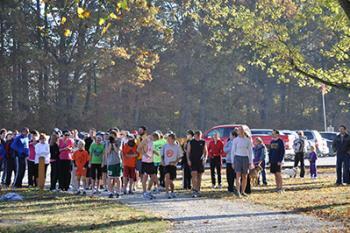 The Gobble Gallop occurs at the Hendricks Regional Health YMCA, 301 Satori Pkwy, Avon, and begins at 8 a.m. The course consists of the YMCA paved trails and surrounding neighborhoods. Register here. A discounted rate applies to families of four or more participating in the 5K. Hendricks County offers plenty of opportunities in the next few months to enjoy the fall weather and foliage, all while staying healthy and fit! Get registered for these events and join in the family fun!